Winter Days of Metal – ein Festival der ganz besonderen Art findet vom 19.03. – 25.03.2017 in Slowenien statt. 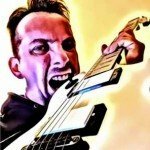 Die Veranstalter des Metal Days haben ein neues Festival auf die Beine gestellt. Ein Festival im Winter, bei dem Metal mit Skiurlaub verbunden werden kann. Wenn das mal keine gute Idee ist. The new story is written. In year 2017 organisers of biggest slovenian festival – MetalDays are organising a new festival – Winter Days of Metal. In a beautiful Slovenia, in lovely surroundings of Bohinj valley, just right under the arm of slovenia’s highest mountain Triglav, joined with breathtaking mistified Lake of Bohinj, the new festival is born. In March 2017 quiet village of Bohinjska bistrica will welcome metalheads from all over the world. The main event place will be held in Dvorana Danica in Bohinjska bistrica. You will be able to enjoy the real winter holidays merged with your favorite music. The skiing ground of Vogel Ski Resort will offer our guests amazing skiing on natural snow, simply spectacular views and very well-maintained ski slopes in the winter. For those, who prefer some nice relaxing SPA in the winter, we will invite you to Bohinj Aquapark, offering swimming pools, jacuzzis, saunas and everything else that is needed for a relaxing stay. Festival Winter Days of Metal is located 54 km from Ljubljana airport; by car it is easily accessible from highway route A2 (E61 and E70, Exit – Radovljica, Lesce) where you will be passing the small town of Bled and enjoying a peaceful half hour ride in the valley of blue river Sava Bohinjka. Bohinjska bistrica is also accessible with train (train station Bohinjska bistrica) and bus (bus station Bohinjska bistrica). Ich persönlich finde das klingt sehr gut. Auch das Line-Up kann sich bis jetzt sehen lassen: Flotsam & Jetsam, Draconia, Holy Moses, Shining, Orden Ogan, Dead Lord und The Devil sind die bis jetzt bestätigten Bands. Weitere Bandbestätigungen werden in Kürze folgen. Ihr fragt euch jetzt bestimmt was das Alles kosten wird. Darauf haben wir auch schon die Antwort. – ein 5-Tages-Skipass für das Ski Resort Vogel, Bohinj (gültig vom 20.03.–24.3.2017). – 5 Tage freien Eintritt zum Bohinj-Aquapark mit Swimming Pools, Saunen und vielem mehr (gültig vom 20.03. – 24.3.2017). Vorheriger Beitrag Ghost – Neue EP „Popestar“ – Unbedingt hören!